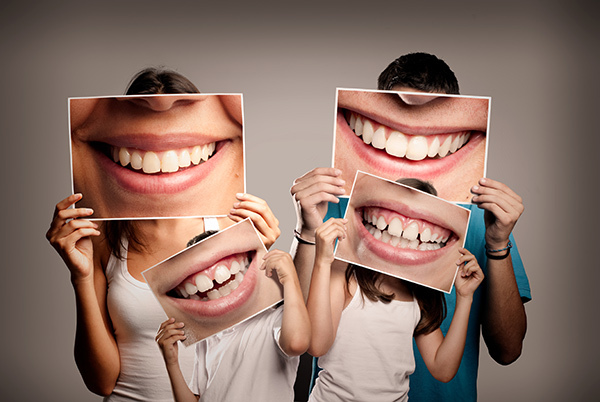 Family dentistry refers to a dental practice that cares for oral health at all stages of life. A family dentist specializes in a wide variety of services, offering more specialized procedures. It’s common for many family dentists to specialize in cosmetic dentistry such as teeth whitening, veneers, Invisalign, and more. Choosing a family dentistry allows you to take care of your entire family’s dental needs at one convenient location. A family dentist wants to ensure that you and your whole family are maintaining good oral health habits. They provide a safe and comforting environment for all patients to have a positive dental experience. Family dentists put emphasis on educating patients of all ages about best oral health practices to ensure that you and your family maintain optimal dental health. A family dentist office wants to make sure you have a positive dental experience in a relaxed and comfortable environment every time you visit. There are many benefits to choosing a family dentist over a general dentist. The most obvious benefit is having the ability to schedule appointments for the entire family. Family dentists want to make sure that you can fit your dental care into your schedule. They make sure that they provide flexible and convenient hours for you to be able to make you and your family’s oral health a priority. Receiving a variety of dental services is also another great reason to see a family dentist. Having more procedures available to you at a dentist you know and trust provides you and your family with a more enjoyable and comforting experience no matter what dental issues arise. A family dentistry has specialized experience in providing quality dental care to children. It is important for children to go to a dentist that is aware of their needs and has the ability to educated them on oral hygiene best practices at an early age. Unlike pediatric dentists, family dentists care for oral health at every stage of life, allowing you and your child to go to the dentist together. Your children also won’t have to switch dentist as they get older, allowing them to stay in a comfortable, familiar environment. When it comes to finding a family dentistry, there are a few things to consider. The first thing to consider is to know what you are looking for in a dentist for you and your family. One thing that most people look for in a family dentist is location. You want to make sure it is convenient for you and your family so that you never have to miss an appointment. The other thing that most people look for in a good family dentist is quality care and trust. You want to know that when you or your child is at a dental visit that they are in good hands. A few other things to consider when choosing a family dentistry is the atmosphere. Do you feel comfortable and feel that your dental experience will be a positive one? Is the staff nice and treating all patients well? Also, what insurance they take and how affordable their services are for you and your family. A great way to make sure you choose the right family dentist for you is to get referrals from friends and family. Always schedule a consultation to get a feel for the dental office before having any procedures. If you’re looking for a family dentistry that can provide the care you and your family need to maintain your dental health, look no further than Sninski & Schmitt Family Dentistry in Holly Springs. Contact us today to set up you and your family for the best oral health!